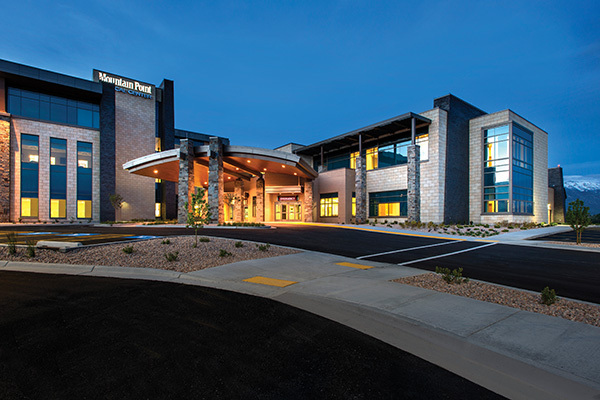 For many families in Utah County, the traditional trek over the river and through the woods to grandmother’s house is more of a jaunt up and down Utah Valley’s major interstate. 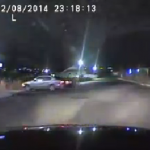 And if the familiar drive gets a little humdrum this holiday season, it might be time for a change of scenery. Here are 15 cool stops — some well-known, some less so — along I-15 for your holiday memory-making pleasure. 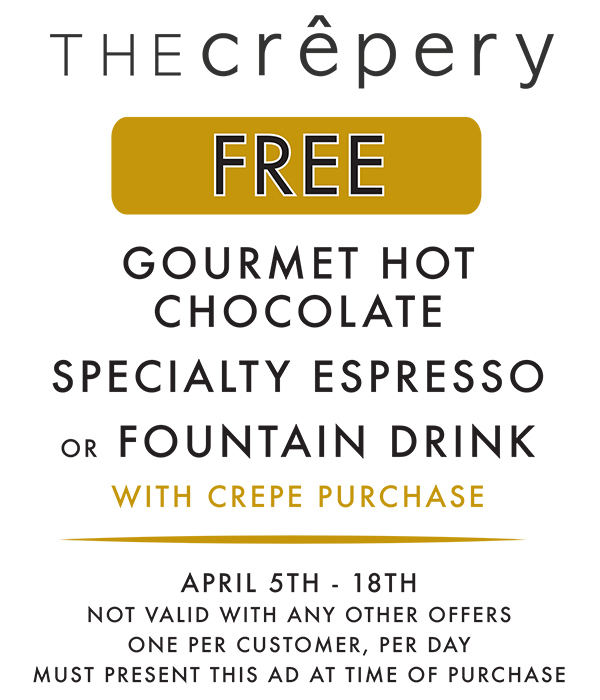 Salt Lake City’s historic Temple Square is a must-see for out-of-towners, but there’s also something for locals. 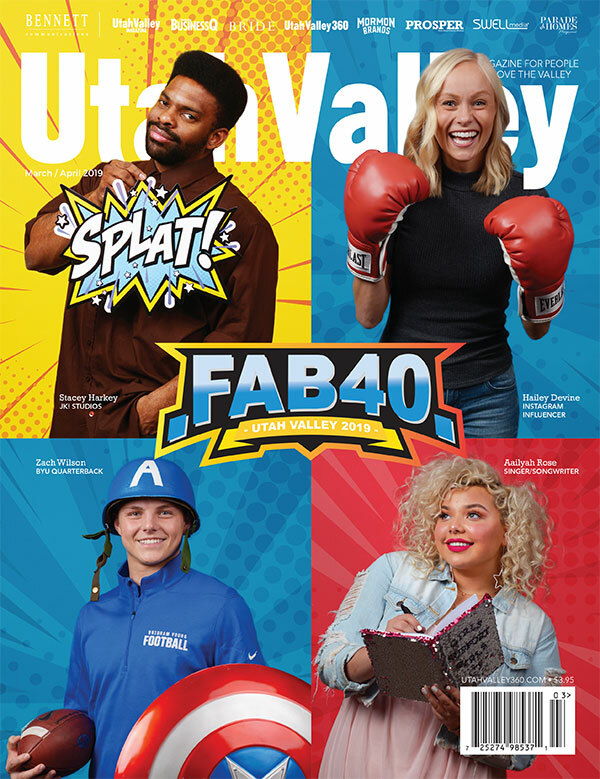 Check out one of the two LDS Visitors Centers, tour the Tabernacle, visit the Church History Library, do some research at the Family History Library, tour the Beehive House or grab something to eat in the Joseph Smith Memorial Building or Lion House Pantry. During the holiday season, the Lights at Temple Square are also a must-see for anyone in the vicinity. Check out the nativity displays, enjoy the lights and take a few photos while the lights are on, which this year is Nov. 28 through Dec. 31. This Is the Place Heritage Park in Salt Lake City is open daily during the holiday season with exceptions of Thanksgiving, Christmas Day and New Year’s Day. 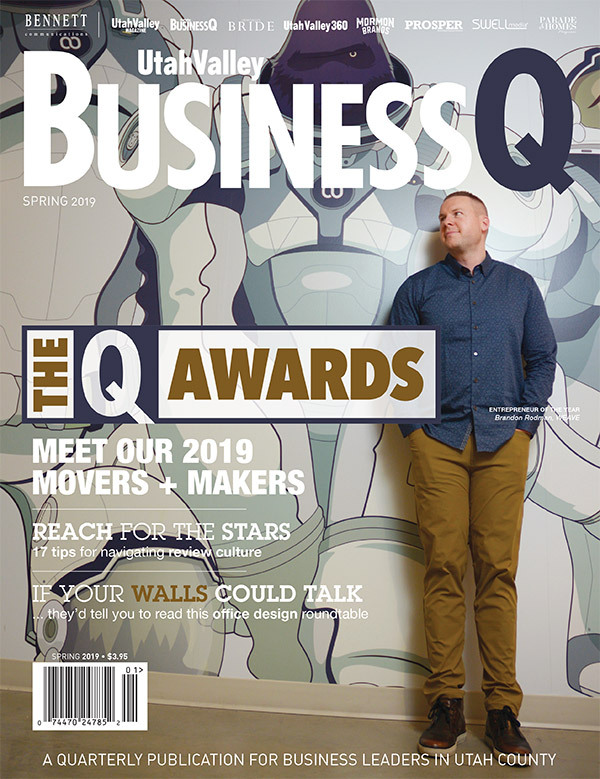 For a small cover charge, families can take train rides, tour the Savage Livery Stable and visit the Pratt Observatory, Fairbanks Home, Hooper & Eldredge Bank, a drugstore, cabinet shop, boot shop, telegraph office and more. 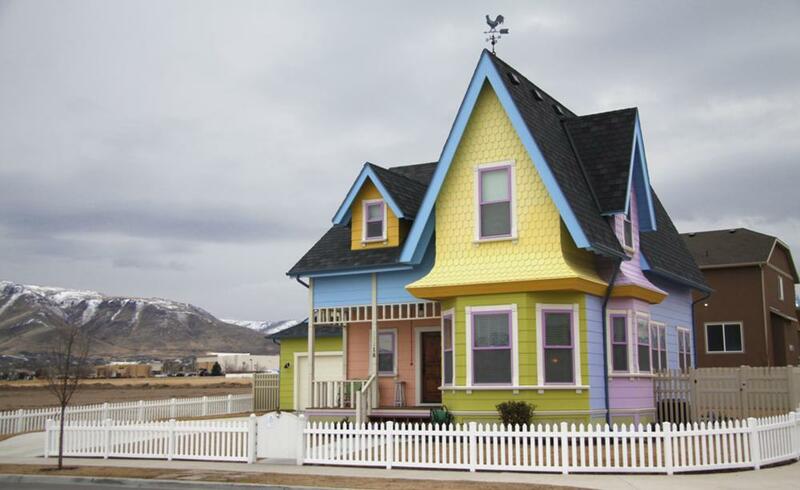 Herriman is home to a real-life “Up” house, modeled after the home in the Pixar film. The house was built in 2011 by Bangerter Homes and was open to the public during that year’s Parade of Homes. In 2012, the Hamblin family moved into the house. 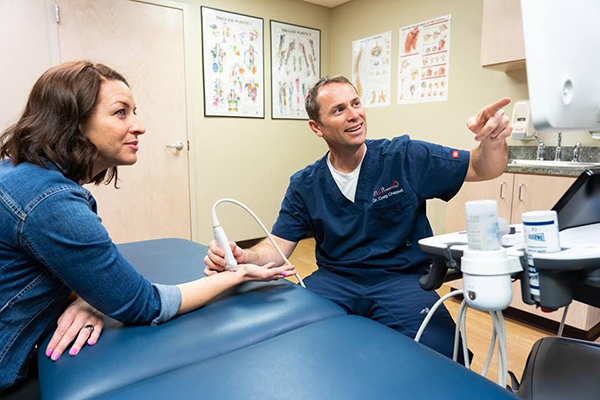 Visitors are welcome to take quick photos from the sidewalk, but more elaborate photo shoots (like those involving props) require an appointment. 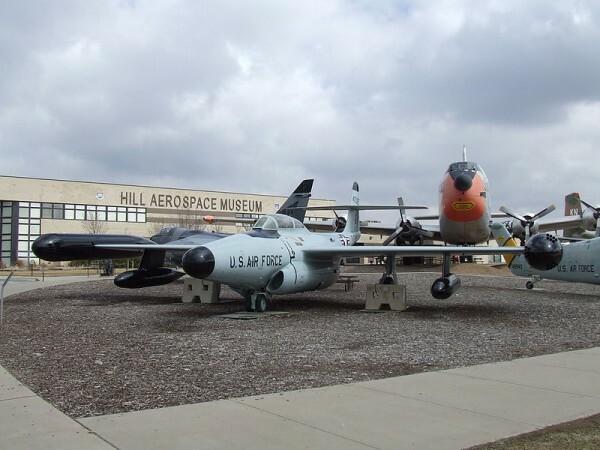 The Hill Aerospace Museum, located about five miles south of Ogden, welcomes approximately 180,000 visitors annually. The museum is home to 90 military aircraft, missiles and aerospace vehicles. In addition to the large equipment, the collection includes uniforms, aerospace ground equipment, military vehicles and thousands of other historical artifacts. 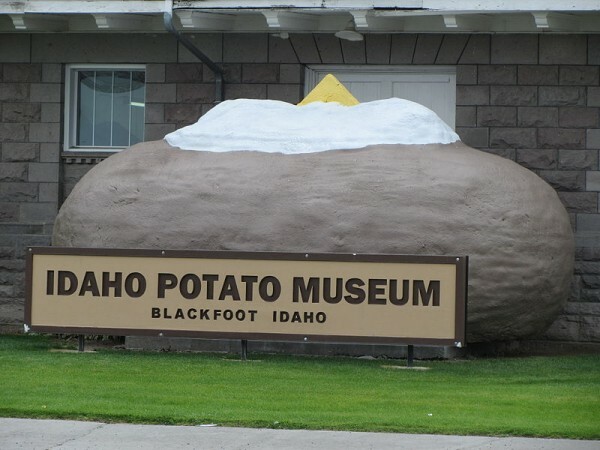 If your trip to Grandma’s house takes you a little farther north, a stop in Blackfoot, Idaho, for the Idaho Potato Museum could produce lifelong holiday memories. The museum showcases Idaho’s most famous crop, recounting for visitors the growing and harvesting process, potato nutrition and the development of the potato industry. The museum is located in downtown Blackfoot at 130 NW Main St.
Part of Yellowstone Park sits in Idaho, but if you don’t have the time to travel that far north, a visit to Yellowstone Bear World just south of Rexburg can provide a Yellowstone-like experience. 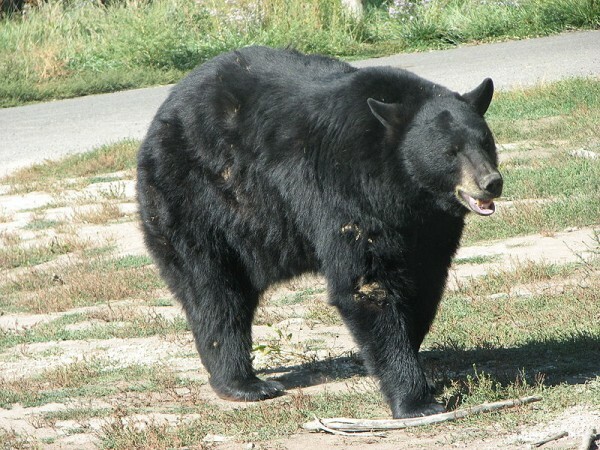 The drive-through wildlife park helps visitors get up close to free-roaming wildlife, including elk, bison, deer, goats, moose, wolves and—of course—the American Black Bear and Grizzly Bear. Rigby, Idaho—population 4,043—boasts a 14,000 square-foot museum dedicated to the town’s rich history. Philo T. Farnsworth, inventor of the television and former resident of Rigby, is featured prominently in the Farnsworth TV & Pioneer Museum. The artifacts on display are interesting, if a little eclectic. 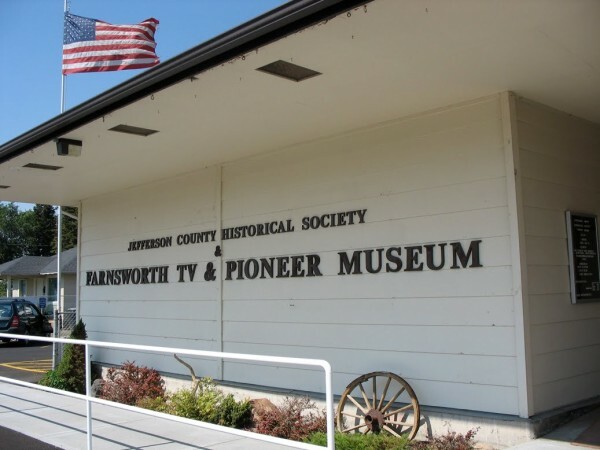 Visit this small-town museum for a glimpse of the pre-electric era, the history of Jefferson County, early photography, the first television tub, Native American artifacts and animal trophies. Artist Thomas Battersby Child, Jr., created a large sculpture garden near his home in the mid-twentieth century. 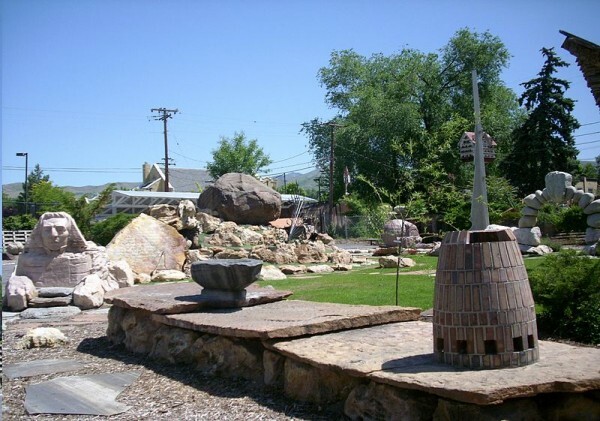 Today, the Gilgal Sculpture Garden is open free to the public seven days a week and is located at 749 East 500 South in Salt Lake City. It is the only identified visionary art environment in Utah. Gilgal Sculpture Garden contains 12 original sculptures including a Sphinx-like piece with the face of Joseph Smith. More than 70 stones are scattered around the grounds, many of which are engraved with scriptures, poems or literary texts. The Union and Central Pacific Railways were joined in Utah on May 10, 1869, with the driving of the last spike completed in a ceremony. 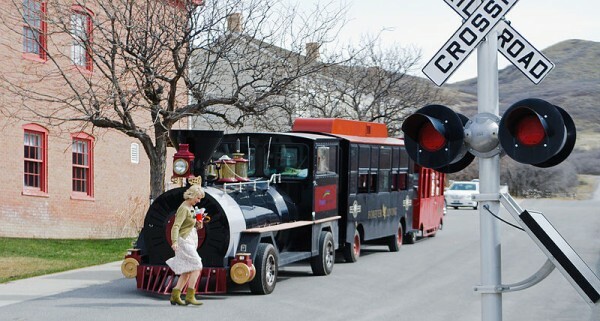 That event marked the completion of the first Transcontinental Railroad and is re-enacted for guests during the summer. 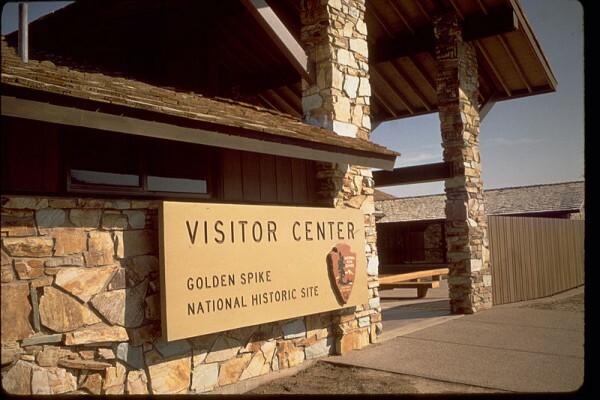 But even when there’s no show, the Golden Spike National Historic Site is open to visitors through the holiday season but will be closed on Thanksgiving, Christmas and New Year’s Day. 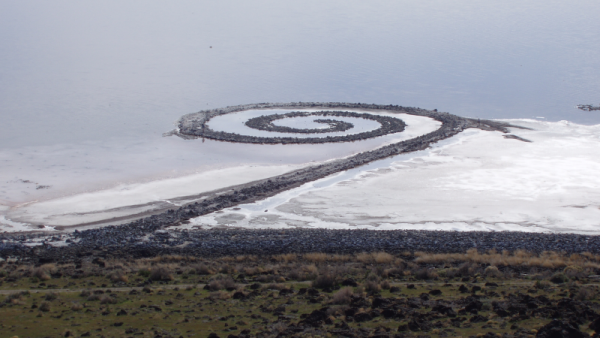 The Great Salt Lake is home to several noteworthy sites, but Robert Smithson’s artwork “Spiral Jetty” is especially notable. Located at Rozel Point peninsula on the northeastern shore of Great Salt Lake, Spiral Jetty is comprised of more than six thousand tons of black basalt rocks and earth from the site. The work was originally black against dark water, but because of encrustation is now mostly white against a pink background. Thanksgiving Point is a fitting place to spend the holiday break, especially since it’s home to the North American Museum of Ancient Life. Here, guests learn about dinosaurs and the world they inhabited in one of the world’s largest displays of mounted dinosaurs. 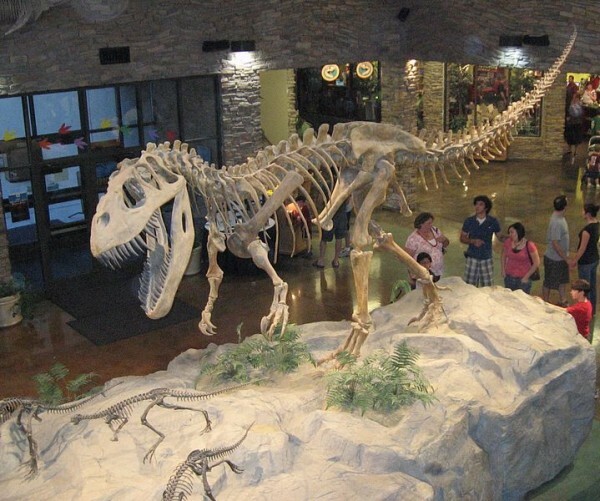 The museum has 60 complete dinosaur skeletons and more than 50 hands-on exhibits. Thanksgiving Point’s new Museum of Natural Curiosity is also a great place to spend a free day. It is open Monday through Saturday from 10 a.m. to 8 p.m. but will be closed Thanksgiving and Christmas Day with reduced hours on Christmas Eve, New Year’s Eve and New Year’s Day. Paleontologists call the St. George Dinosaur Discovery Site at Johnson Farm one of the best dinosaur track sites in the world. 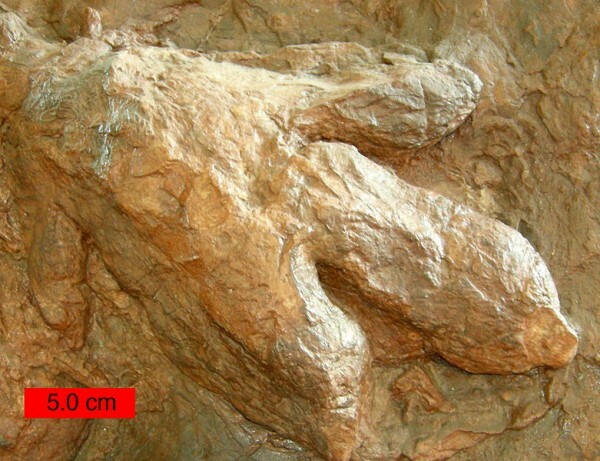 The site houses exceptionally well-preserved dinosaur tracks, fossilized fish and plants, rare dinosaur remains and important sedimentary structures. For a small fee ($6 for adults, $3 children 4-11, free for children under 4), guests can visit the museum and learn more about this scientifically significant site. The museum is open Monday through Saturday from 10 a.m. to 5 p.m. but will be closed on Thanksgiving, Christmas and New Year’s Day. 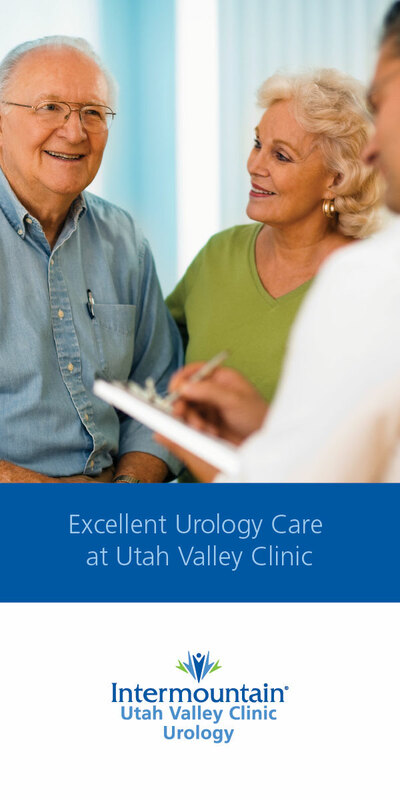 Located at 2180 East Riverside Drive in St. George. 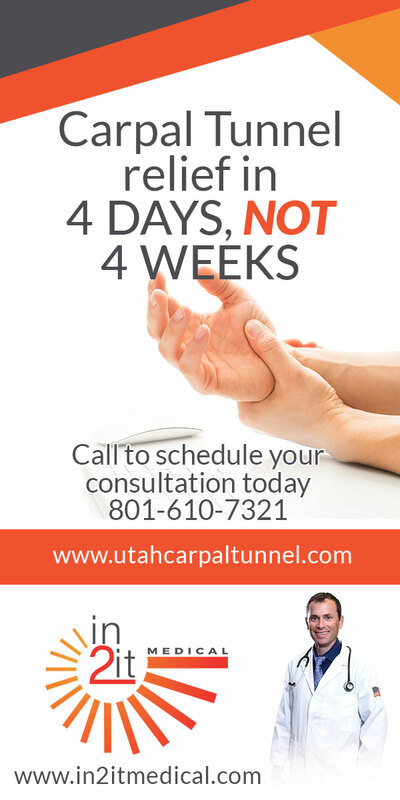 Brigham Young suffered from arthritis as he grew older, but he felt less pain during the mild winters he spent in St. George. His home was spacious and comfortable, even equipped with a ventilation system that pulled warm air from the house and pushed it up into the attic and outside. 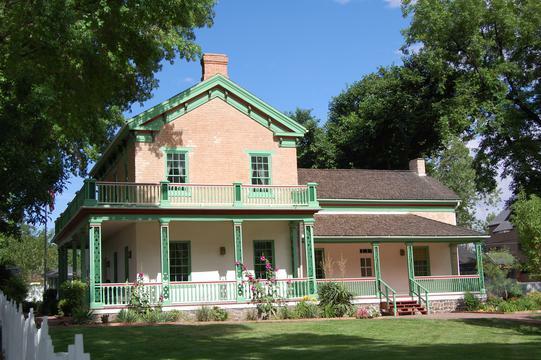 Today, Brigham Young’s Winter Home (located at 67 West 200 North in St. George) is open for free tours daily from 9 a.m. until sundown. 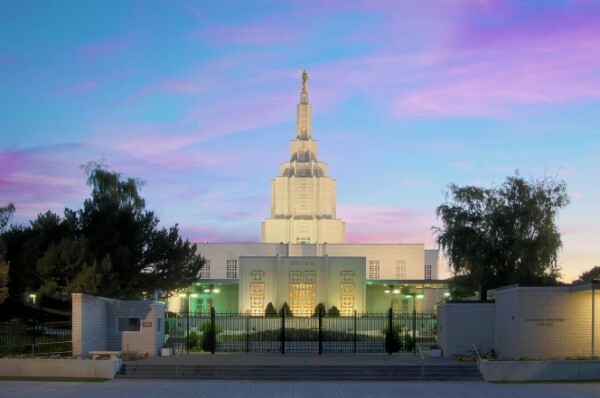 The Idaho Falls Temple is home to a visitors center and sits near the Snake River, providing picturesque views for visitors. Exhibits inside the Visitors Center teach the importance of families and share messages from modern prophets and the Book of Mormon. 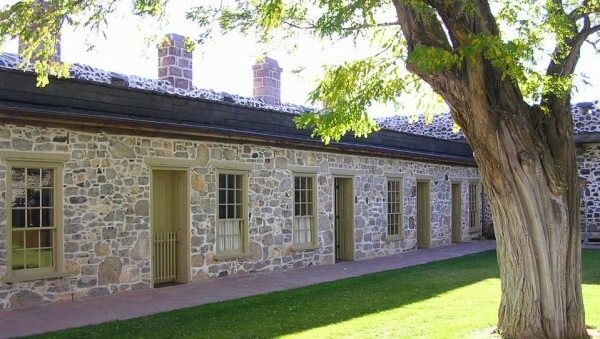 Located at 1000 Memorial Drive in Idaho Falls, free, open daily from 9 a.m. to 9 p.m.
Cove Fort is the only remaining fort that still stands from the settling of the Utah Territory. 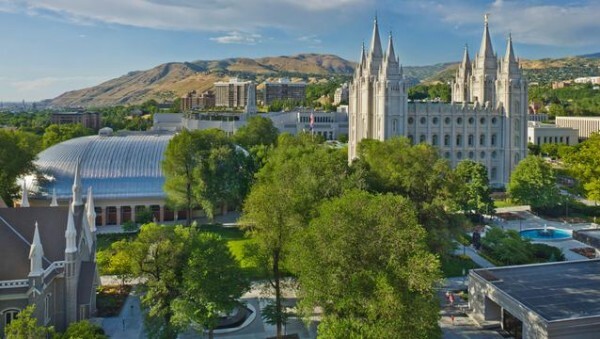 It was built in 1867 under the supervision of Ira Nathaniel Hinckley—grandfather of President Gordon B. Hinckley—who was called to do so by Brigham Young. 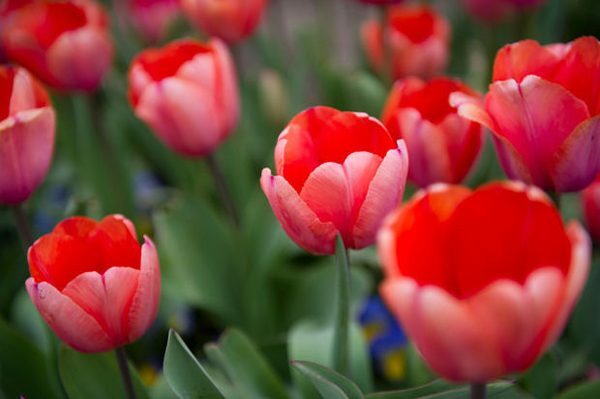 Visitors can tour the fort grounds, including the house, garden, blacksmith shop and more.